This deceptively simple bowl was made by Michael Hunter for Twists Glass in 2017. 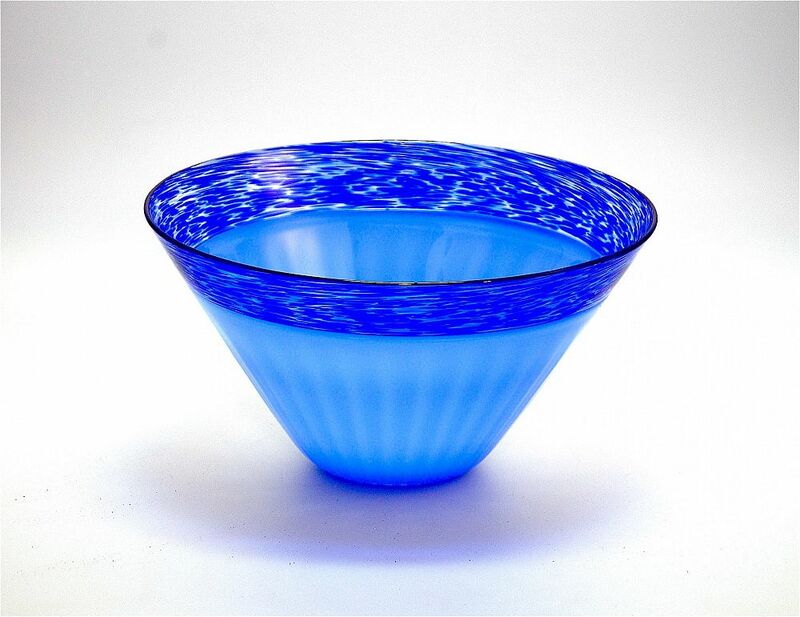 Known as "Contrast" the flared and ridged periwinkle blue bowl has a mottled blue incalmo top. The base is scratch signed "M Hunter Twists 17" and has the Twists Glass studio label.